This post is written by our very own KatyKicker. She has been earnings £1000+ a month from online surveys alone for a number of years and is going to tell YOU how to do the same!! I am something of a self appointed survey guru. If a company wants my opinion I usually want to provide it. Not for free of course. Surveys are where I started to make my bread and butter in the online world. Despite exploring bigger and better paying options now I still love nothing more than a good hour of survey taking a few times a week. I like to save up my surveys and then cherry pick the best ones to help me make the maximum money in the minimum time. Surveys are not for everyone, and you may be instantly dismissing them. If you want to earn more money, for less time (and who doesn’t?!) then be sure to check out this post on how you can earn at least £1000 a month with matched betting. You can also get further tips and advice on the matched betting thread here on TMS. 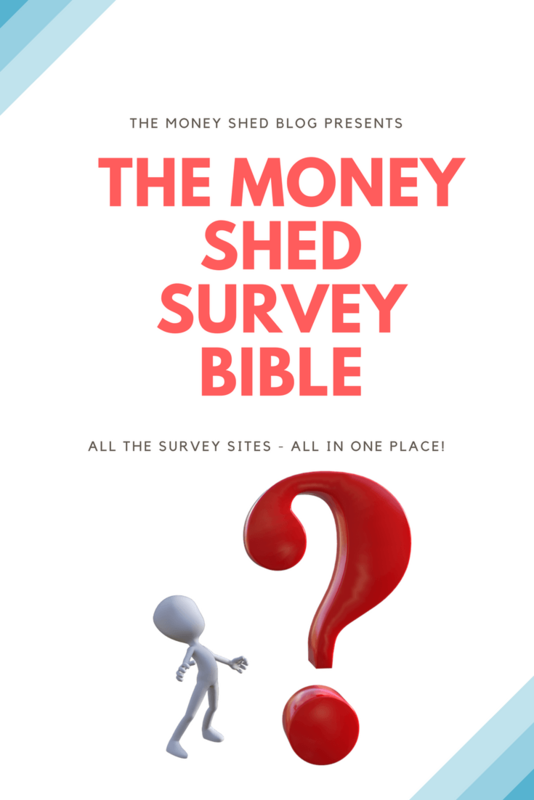 Today I am going to share with you some of my top tips for completing surveys, maximising your earnings and which survey companies I use the most. It is important to remember that surveys are dependent on specific demographics. Companies conducting market research may want to hear from parents, or retired people. Every surveys requirements will differ. This may mean that you get lots of surveys or it could mean that you are not quite so fortunate. It is important to remember that it is nothing personal against you and it is just to help companies compile data from their target audience. By keeping your profile surveys regularly updated (at least every 3-6 months) you can cut down on survey disqualifications. Being disqualified from a survey can be a little frustrating but it is important to remember that it is nothing personal. Companies do not want to pay for data from people in demographics that are not suitable. Most companies work hard to ensure that you are disqualified as quickly as possible. Some of my favourite companies, such as Prolific Academic, work hard to ensure that you only receive surveys that you are eligible for. 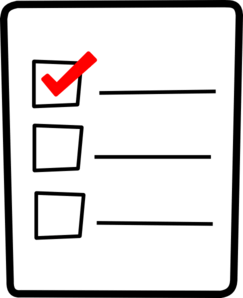 Profile surveys usually ask you about a variety of areas of your life. This could be something as basic as your gender or which political party you would support in an election. By filling out these profile surveys, which are usually unpaid, you can increase your chance of being invited to future paid surveys. Be sure to check your emails regularly. I personally keep my email open on a tab most of the time that I am online. I then have a look every few hours, to see what new opportunities have come through. I do not complete surveys the moment they arrive, as I prefer to stockpile them, but you could maximise your chances of successfully completing a survey by opening the emails as soon as they come in, time dependent. You could consider having an email address specifically for completing surveys. This will help you avoid any spam on your main email account and also means that you will have a dedicated account to login to when you want to complete paid surveys. It can be tempting to lie when it comes to completing surveys. However, this is not something I would recommend. Some survey companies incorporate test questions into their surveys. It could be something simple like asking you what car you drive, both at the beginning and end of a survey, or it could be asking you to click a specific option to a question. 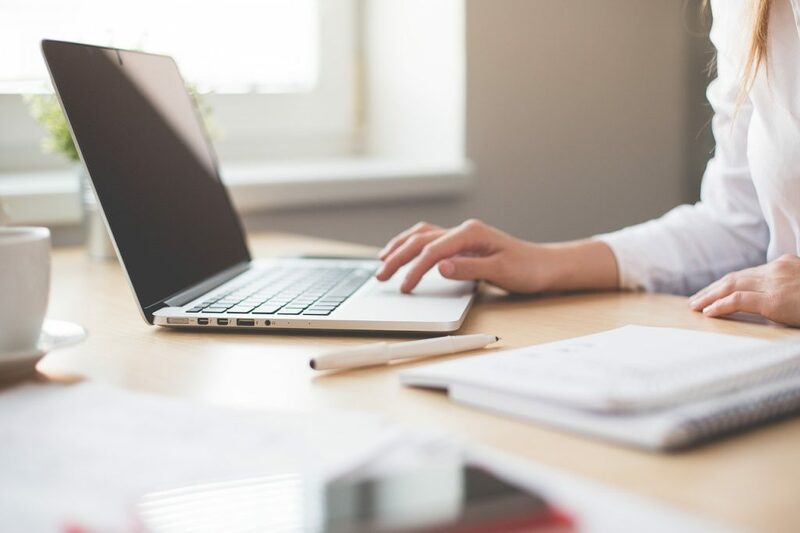 It is important to be honest, mostly to avoid being disqualified for missing a test question, but also because it will make completing surveys much more straight forward for you. Companies want honest opinions and will do what they can to weed out any dishonest survey answers. Personally, I like to ensure that I spend the minimum time for the maximum reward. This means that I will delete very low paying surveys unless they are 1-2 minutes to complete. I will also spend just 1 hour per day on surveys, often less. I like to try and have several surveys from different companies open on tabs at one time. This allows me to move forward to another survey if I am getting bored of repetitive questions or looking at the same screen for a long time. This works very well for me and helps me to stay motivated as I work through my different survey sites. Personally, I use ‘Page Monitor’ for Google Chrome. This checks websites frequently and will give me a small alert when an update has occurred on any linked page. This means that I can avoid missing out on new surveys from companies that do not send out emails. This is a fantastic way to pick up surveys throughout the day if you are going to be online anyway. Where possible ensure that you cashout as soon as you reach the payment threshold. Some websites, such as GlobalTestMarket and Swagbucks, will allow you to earn a small discount if you save up for a large cashout. It is always wise to err on the side of caution and avoid holding too much money in your survey account. It is much better to cashout, for a smaller amount, as cash is king and it is better in your account than sitting in a survey website. Any time that you are earning money online it is important to look at the tax implications. It is quite straight forward to register as self-employed and you can keep a simple record of payments that companies make to you. Registering as self-employed can feel like a daunting prospect but it is much easier than I ever thought. You can learn more by visiting the fantastic self-employed toolkit. 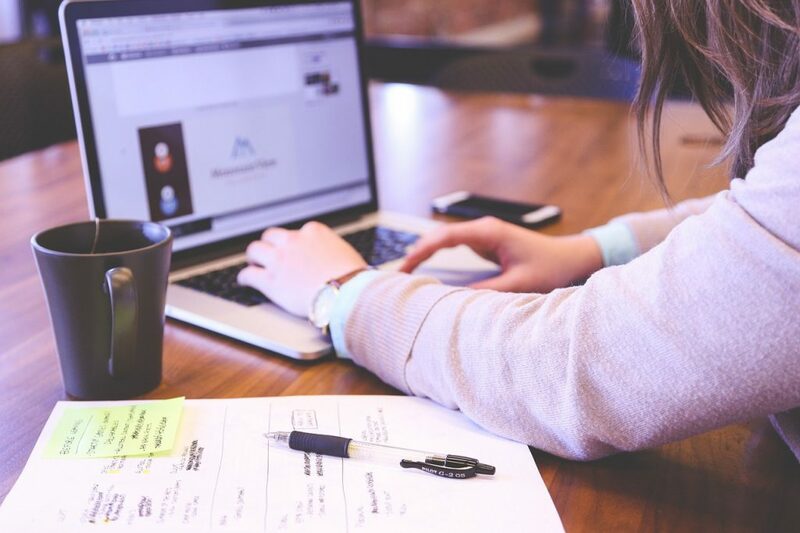 It can be tempting to stick to just one or two survey websites, however, try out a few. Look at the best paying ones first and then work from there. If you have more time then you can join more websites. 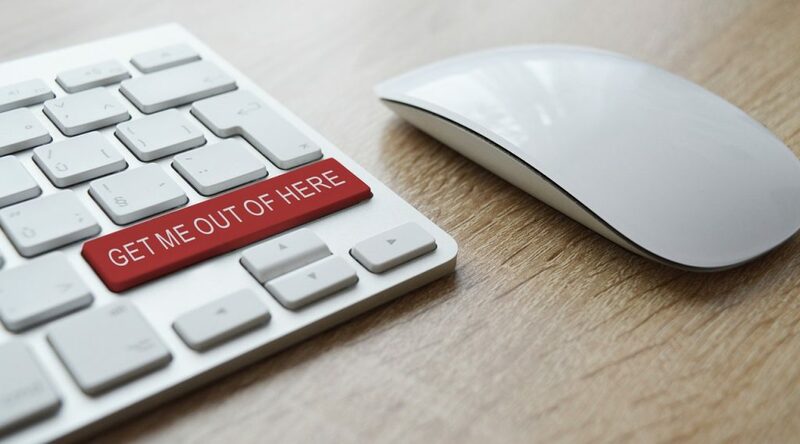 If you find that a website isn’t working out for you then be sure to reach the payment threshold and then close your account once you receive your payment. Maru Voice UK is the latest way for Britons to make money online. When you join as a new member, you will earn up to £3 per survey on today’s trending topics such as Do you trust our current Prime Minster? Are you an online or in-person Christmas shopper? Maru Voice UK is operated by a trustworthy company (Maru/Blue) and has successfully been running a similar community in both the United States and Canada for many years, so you can be sure everything is on the up and up. Respondent.io offer Surveys and online 1-on-1 focus groups with an excellent rate of pay. I’ve signed up to do simple webcam chats on a range of topics from how I do my washing at home through to one about my sports interests for an hour which paid $60 (Around £47) so if surveys are your thing then this is well worth jumping on! A fantastic company that help academics to obtain reliable and accurate data for their studies. By having you fill in a small amount of eligibility questions they can guarantee that you will be eligible for a study before you complete it. Completing surveys regularly, and accurately, will help you to be eligible for future studies. This is thanks to the implementation of a scoring system. Payment threshold: £5 with Paypal fees, £20 without fees. Payments typically take one working day. Average earnings per survey: Studies are paid at a minimum of £5 per hour, on average. Some studies take just a few minutes while others are more in depth. The highest study I have completed was £20 and required playing a game for around 1 hour. This is a US based survey company that sends out frequent invitations. Disqualifications can be fairly frequent but this is because of the large amount of surveys they have running. Surveys with GlobalTestMarket have frequently led to product trials and focus group invitations for me. This is one of my most prolific survey websites and I can usually cashout at least two times per month. Payment methods: Paypal, Amazon and other gift vouchers. Payment threshold: 1087 points for £30 Paypal. 1041 points for £30 Amazon. Payments typically arrive within 10 working days. Average earnings per survey: Surveys typically range from 10 – 150 points. Focus groups and online diaries usually award at least 1000 points. These surveys are usually short and sweet. YouGov cover a variety of topics and frequently conduct surveys that then appear in national newspapers. Their survey frequency has improved lately which helps me to cashout quicker. If you are a fan of politics then YouGov is a brilliant site to use. They conduct regular politics based surveys throughout the year to track the general populations opinion on political parties and policies. Payment threshold: £50 which takes up to 28 days to arrive. Average earnings per survey: 50p + per survey. Surveys can be completed in as little as 1-2 minutes. Surveys are emailed out throughout the day and they partner up with a number of other survey companies. This allows them to offer a variety of different surveys and with the right demographics this can be a good earner. Disqualifications happen quite frequently here, however this is usually within the first few questions which helps to take the sting away a little. Surveys take a few days to credit after completion so it can be a good idea to keep a record of the survey invites that you have accepted. Payment threshold: £20 which takes up to 10 working days to arrive. Average earnings per survey: 60p+ per survey. 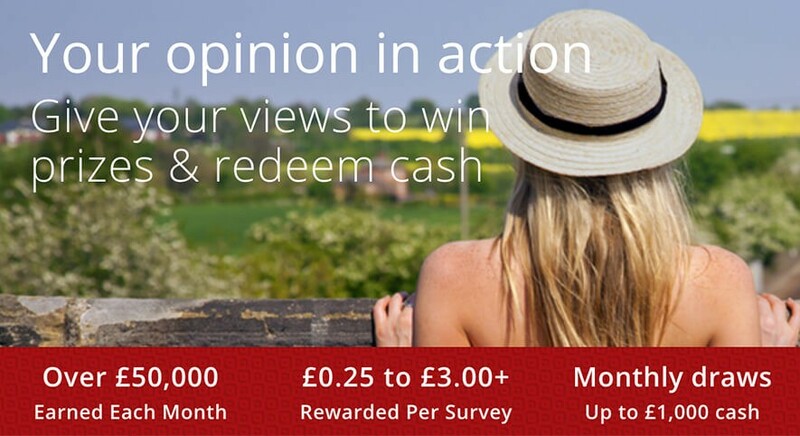 Cint surveys are on offer here and they can pay up to £5. Here you can find a selection of small and large survey opportunities. They also have mystery shopping opportunities and these can earn you up to £110 per activity. There are assignments to complete regularly, almost daily at present. This varies week by week so it is worth visiting the website frequently. Payment threshold: £12 which usually arrives by the second Tuesday of the month after you reach the cashout threshold. Average earnings per survey: 2p for a micro survey – £3 for a larger survey. Here you will find a huge array of surveys. Surveys are posted throughout the day and they are partnered with a number of other survey providers, to maximise your chance of finding a survey. Check the website frequently for your best chance to find surveys. Also be sure to complete the daily poll and quick surveys in order to rack up some super fast points. Points are awarded for survey disqualifications too which is a great incentive to try more surveys. Payment threshold: $10 (1000 points) which is around £6.70 at present. Payments take up to 5 working days on average. Average earnings per survey: Surveys typically range from 10 – 360 points. They usually take from 1 – 15 minutes to complete. As well as surveys you can gain access to product trials and focus groups with i-Say. They have frequent surveys on offer and I personally receive survey invitations most days. Be sure to check the website and fill out the prize draw surveys too. These will allow you to have a chance to win a prize draw but also the questions they ask will help you to be eligible for further paying surveys in the future. Payment methods: Amazon vouchers and other gift vouchers. Payment threshold: 1380 points (£10). Vouchers are usually sent within 4 hours. Average earnings per survey: Surveys typically range from 25 – 250 points although higher paying surveys are on offer from time to time. Swagbucks is a ‘get paid to’ website that offers a variety of different ways to make money. Surveys are available frequently throughout the day although you will want to check the website for these opportunities. You can also take part in focus groups here and the most recent one I completed paid me 2,500 Swagbucks (around £15). Payment threshold: 849 points (£5 Amazon). Saving for larger rewards will get you more for your points. Payments take up to 10 working days to arrive. Average earnings per survey: 60 swagbucks + (35p). This is a small paying survey site to visit frequently. Surveys are loaded throughout the week, Monday – Friday, and are short and sweet. Email invites aren’t usually frequent but checking the website will ensure that you don’t miss out. They have frequent telephone surveys on offer. Payment methods: Paypal or Amazon vouchers. Payment threshold: £20. Payments usually take up to 10 working days. Average earnings per survey: 20p for a 1-2 minute survey. £1-2 for telephone surveys. Surveys are emailed out from My Voice and can range from those that take just 1-2 minutes ‘quickies’ to those that take 30 minutes. Disqualifications rarely happen and are rewarded with points if they do occur. Payment methods: Amazon vouchers and other high street vouchers. Payment threshold: £20 which usually arrives within 1 working day via email or 10 working days via post. Average earnings per survey: 5p – £1.50 depending on the survey length. Surveys are short and sweet here, mostly. They send out emails and regularly have prize draw surveys. These increase your chances of being invited to future paid surveys and they have Mingle points on offer for winners of their prize draws. Product trials are quite frequent with Mingle and I have had access to a number of high cost products in recent months thanks to Mingle. Payment methods: Bank transfer, Amazon or other gift vouchers. Payment threshold: 1500 points (£12). Gift vouchers take up to 5 working days to arrive, although are usually much faster. Cash transfers can take up to 10 working days on average. Average earnings per survey: 100 points (80p) upwards. Surveys tend to take just a few minutes to complete. Surveys are frequent with Valued Opinions and often you will be invited to another opportunity upon completion of a survey. A wide variety of different redemption options makes this a fantastic site and I regularly have a weeks free shopping at Sainsburys thanks to gift vouchers. Payment methods: Amazon and other high street vouchers. Payment threshold: £10 + 50p fee for each voucher redeemed. Average earnings per survey: 50p – £2.50 for 5-30 minute surveys. If you are looking for short and snappy surveys to complete regularly then Onepoll is a great survey website. Their website is updated throughout the day, Monday – Friday, with surveys. Surveys here are on a variety of different topics and are usually very straight forward. Payment threshold: £40 which takes up to 28 days to arrive. Average earnings per survey: 10p – 40p for surveys that take 1-3 minutes to complete. Surveys are emailed out regularly but the site can be a little glitchy. It is worth checking often, for new surveys, as emails don’t always arrive when surveys are first released. As well as surveys I have had access to product trials and online diaries from MySurvey. Payment threshold: 345 points (£3) Paypal which can take up to 10 working days to arrive. Average earnings per survey: 100 points (£0.85) for a survey that takes around 10 minutes to complete. These surveys are very well paying with a 5 minute survey typically paying £1. The surveys on offer are interesting but watch out for test questions – which are frequent. Payment threshold: £50. Cheques are sent after the 1st of the month on any month where you hit the £50 threshold in the previous months. Average earnings per survey: Surveys range from £1 – £4 on average. This website is much the same as PopulusLive. They have surveys that pay well, from £1 upwards for just a few minutes of your time. You can also find surveys on offer from other survey panels, which are not so well paying. Surveys can take until the 1st of the following month to credit so be aware of this when you complete them. This is a website to consider joining if you are looking to increase your survey websites. The surveys can be few and far between but they also have other ways to earn money too. Recent ways to make extra money that I have seen include signing up to websites and newsletters. It can take a while to reach the payment threshold on this website so patience is a virtue with this one. They usually offer at least 5p for any disqualifications that you incur. Payment threshold: £25 which can take up to 30 working days to arrive. Average earnings per survey: 25p + depending on the length of the survey. This is an invitation only panel that pays a lovely £3 per survey. Profile surveys are sent out before some paid surveys, to avoid the chance of being disqualified. Surveys fill up fast so check your emails frequently for invitations. Surveys are fairly frequent with at least 1-3 on offer throughout the month. Many surveys lead to product trials, which are also paid. You can check out the dedicated TMS thread to see if they are currently inviting new members. Payment threshold: £3 which is usually sent within 1-2 working days. Average earnings per survey: £3 for all surveys. Older members receive £4. This is a ‘get paid to’ website that has a variety of opportunities for you to make extra money. You can read my complete Clixsense guide for more information on how I have made more than $4,000 since I joined. Surveys are on offer from a variety of different panels and you will usually be disqualified within one or two questions. Some areas of the website, such as Peanut Lab surveys, will reward you with a small amount of money (1 cent) if you are disqualified from a survey. Payment threshold: $6 for premium members, $8 for paid members. Payments usually arrive within 3 working days but can take a little longer on occasion. Average earnings per survey: 50 cents – $5 per survey. Surveys take from 5 – 25 minutes to complete.